Click on someone's name below to visit their home page. The AS&RU exists to encourage and co-ordinate external partnerships which enable the early applications of theoretical, methodological and algorithmic developments. Martine J. Barons works on networking probabilistic models for decision support, with applications in household food security. Sascha O. Becker works on Labour Economics, Education Economics, Public Economics and Economic History, often using large data sets. His current research looks into the deep roots of long-run economic development, using historic data sources. He has an interest in text analysis to capture cultural change as a factor in long-run development. My research expertise is in image analysis and pattern recognition, with particular emphasis on application areas such as fingerprint analysis, face recognition and other areas of digital forensic analysis. I work with several industry partners including Warwick Warp (for which I am a founding director) and Pattern Analyics. Till Bretschneider has expertise in working with large scale, high-resolution image time-series data acquired by live cell microscopy. His main research interest is cell motility during development and self-organisation of the cytoskeleton. His research group develops software for single cell tracking in 2D and 3D, and detailed analysis of cell shape, where mathematical modelling is an integral part to understand complex spatio-temporal patterns of cellular signalling. The latest microscopy techniques easily generate data in the range of many Terabytes per single experiment. To cope with the amount of data real-time processing using massively parallel GPU computing becomes more and more important. With a background in both probability theory and applied statistics, I am working on big data sets collected in a range of disciplines including genomics, microscopy, cancer research and finance. Particular challenges coming with high-dimensional data sets include data-quality assessment and extraction of relevant information supporting decision processes. My research fields are Econometrics, Time Series Econometrics, Financial Econometrics and Industrial Organization. In particular, my papers are on nonlinear panel data models with factors, detection of structural breaks, large network estimation and the study of consumer payment choice. Colm's main research interests are in non-equilibrium statistical mechanics and turbulence. He is particularly interested in applications in the Earth Sciences such as inverse problems in droplet coagulation. He is also interested in applications of time-series analysis to industrial problems and is a founding member of the EPSRC Early Career Forum in Manufacturing Research. My interests are in all aspects of the "data lifecycle", from data collection and cleaning, through mining and analytics, and private data release. John Cremona works in computational number theory, in the area of elliptic curves and modular forms. He is interested in tabulating these systematically, and his database of elliptic curves, first published within a book (Algorithms for Modular Elliptic Curves, CUP (1992)), is a standard reference in the field. Over the last five years the elliptic curve database project has become part of a much large world-wide research project called the L-Functions and Modular Forms Database (LMFDB) which was originally funded by a $1.2M US NSF FRG grant, and since 2013 is funded by an EPSRC Programme Grant worth £2.2M, shared between Bristol and Warwick, of which John Cremona is the PI. As well as Bristol and Warwick, the project has a large international team of collaborators. The project consists of a large database, hosted at Warwick, containing a substantial amount of number-theoretical data (for example including over 100 billion zeros of the Riemann Zeta Function, each to 100-bit precision) accessible by the website www.lmfdb.org, also hosted at Warwick, allowing different views of the data and showing clearly the links between different mathematical objects, some of which are still only conjectural and all of which are the subject of a large amount of research worldwide. As well as new mathematical theory, the project involves much algorithmic development, realised and implemented entirely as open source software, so that both the data and the code used to create it and display it is all fully open. My interest lies in the theoretical analysis of large networks and the design of efficient algorithms to understand networks and combinatorial structures. I work with biologists and computer scientists, making multiple images of the same tissue section, extracting different data from different images. One might compare healthy with diseased tissue. The data is voluminous and requires considerable analysis to make sense of it. The projects of interest are biomedical at the molecular level. I am concerned mostly with a project funded by BBSRC which is fundamental research that might help with diabetes. As a separate, but related, issue, I am interested in discovering the geometry of objects that could give rise to an observed set of points in a space of many dimensions. This entails using a mixture of mathematics, computer science, statistics, intuition and common sense. I am interested in building scalable data analytics and integration software. The typical process includes merging multiple types and sources of information, scaling the analysis process in terms of both size and variety of data, and protecting the privacy of data subjects. An example is to identify aggregate spatio-temporal patterns over multiple sources of geotagged data, shared via mobile devices, GPS, and social media. My work addresses data and systems challenges in building such applications for temporal and multi-dimensional data analytics. My area of research is in statistics and mathematical biology. In particular, I am interested in analysing temporal and/or spatio-temporal data from biological systems (from single cells to meta-populations). My recent collaborations include addressing questions in chronobiology with collaborators in the Biological Sciences and Medicine. In collaboration with Francis Lévi, I am researching statistical methods for non-stationary statistical modeling and inference for circadian oscillations for research in cancer chronotherapy (see BBC video). I work on statistical theory, methods and computation, and applications in many disciplines, especially the social sciences. I have published several widely-used R packages on CRAN, one of which (gnm, written with Heather Turner) won the John M Chambers Statistical Software Award of the American Statistical Association. My research work led to the highly successful exit-polling methods that have been used by all the major broadcasters at recent UK general elections. GLM computation with huge data (with Ioannis Kosmidis). Mark Girolami is Professor of Statistics and is honorary Professor of Computer Science at Warwick. His research and that of his group covers the investigation and development of advanced foundational statistical methodology driven by applications in the life, clinical, physical, chemical, engineering and ecological sciences. He also works closely with industry where he has several patents leading from his work on e.g. activity profiling in telecommunications networks and developing statistical techniques for the machine based identification of counterfeit currency which is now an established technology used in current Automated Teller Machines manufactured by National Cash Registers (NCR). He is an EPSRC Established Career Fellow (2012 - 2017) and previously an EPSRC Advanced Research Fellow (2007 - 2012). 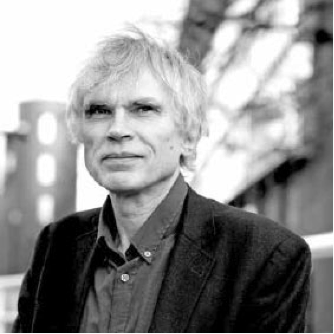 He is also honorary Professor of Statistics at University College London, is the Director of the EPSRC funded Research Network on Computational Statistics and Machine Learning and in 2011 was elected to the Fellowship of the Royal Society of Edinburgh (FRSE) when he was also awarded a Royal Society Wolfson Research Merit Award. Machine learning for driver and vehicle monitoring based on telemetry and CAN-bus data. Using machine learning techniques we are able to make predictions about a vehicle's current environment (such as current road type) without relying on GPS and mapping data, and are able to monitor the driver's cognitive load in terms of whether they are distracted or stressed. This work is in collaboration with Jaguar Land Rover. Influence and behaviour propagation in online and offline social networks. Using agent-based modelling and machine learning we are able to identify potentially influential nodes and targets for disruption in social networks. This has applications to social settings such as smoking cessation behaviour and product purchasing, and to law enforcement for gathering intelligence. This work is in collaboration with Sandtable Limited and West Midlands Police. As a behavioural and data scientist, I am interested in quantitative approaches to language, wellbeing, memory, and decision making. My work involves using large volumes of data to understand psychological change over cultural time; understanding language learning using network analysis; computational modeling of memory representations and age-related cognitive decline; and information search in decison making. I am interested in the modelling and simulations of complex flows arising in problems such as electrochemical devices, subsurface and porous media, turbulent multiphase reactors. These problems are typically characterised by multiple physics and length scales and, due to their complexity, have to be addressed with an integrated modelling and data-driven approach. I am therefore interested in calibrating and validating mathematical models and estimating uncertainties by means of Bayesian inference. I am also interested in the upscaling and model reduction. probability on trees and related structures. My background is in High Performance Computing but more recently my research has focused on compute architectures and codes for data-intensive problems. Two examples of this include: funded research with HMG on secure on- and off-line analytics at scale; a focus on urban data (urban analytics), which is realized through Warwick’s Urban Science CDT for which I am PI and Director. My research interests in statistics include simulation, Monte Carlo methods, and inference from stochastic processes. I am particularly interested in the application of these areas to inference from genomic data. I am also interested in the development of models in population genetics, such as coalescent theory and diffusion processes of gene frequency evolution. My primary research area is dependability. Lately, I have been using machine learning to drive the design of dependable systems. One current area is the application of ML techniques to failure logs of large-scale computing systems (such as cluster systems) for error detection and failure prediction. I have also developed similar approaches for dependable SW systems. I am also using ML techniques to investigate security issues such as characterisation of various types of malware. 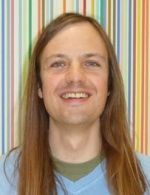 Adam Johansen's interests lie predominantly in the field of computational statistics. He has particular interests in the field of time series and particularly the conduct of inference in real time as data becomes available, and inference for intractable models. He is also currently involved in a number of projects related to challenging problems in neuroimaging. I am an educational technologist and an information systems engineer in the Department of Computer Science. Much of my current work involves deploying software (and sometimes hardware) solutions to educational problems and evaluating their effectiveness using data collected from students and elsewhere, and involves a mixture of both quantitative and qualitative methods. The types of research problems being addressed are both technical, grounded in computer science, and educational. Large-scale model and variable selection. I research computer science topics related to geospatial data, with particular reference to mobile sensing and location-aware systems. Recent work at Mobility-IoT’14 reports on the impact of data sparsity and duration on location prediction applications. Chenlei is interested in high dimensional data analysis, graphical models, and social network data analysis. He is particularly interested in the methodological aspects of these areas. An emphasis of his research is to develop novel statistical models for analysing big data with sound theory and fast computation. I lead research at Warwick on information security and forensics, machine learning, pattern recognition and multimodal biometrics. I am the former Editor-in-Chief of the International Journal of Digital Crime and Forensics and I am the coordinator of the international joint project Digital Image and Video Forensics funded through the Marie Curie Industry-Academia Partnerships and Pathways (IAPP) under EU FP7. My research on digital forensics has been commercialized and is in use by the police and by INTERPOL. My research interests include text and data mining, natural language processing, biological text mining, computational semantics, scientific discourse structure, sentiment analysis. My work has contributed to advances in knowledge discovery from corpora, automation of scientific experimentation and automatic extraction of information from the scientific literature. In recent years I have focussed on the annotation and automatic identification of discourse structure in scientific literature in terms of the core components of scientific investigations. I have used these annotations to create automatic summaries and in a number of other biomedical applications with a potential impact in healthcare, such as the dynamic enhancement of drug package information interactions and the facilitation of cancer risk assessment. Robert MacKay pioneered topological data analysis long before the Edelsbrunner/Carlsson wave (though this has gone largely unnoticed). The work was mostly carried out by postdoc Mark Muldoon at Warwick on an EPSRC grant with David Broomhead (Manchester): Muldoon, MacKay, Broomhead and Huke: Topology from time series. Physica D 65 (1993) 1–16. More recently MacKay had an undergraduate project student apply topological data analysis to data from a CAT scanner in WMG, and one of our Erasmus Mundus masters students applied it to EEG data with the Institute for Digital Health. 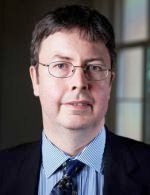 MacKay is director of the EPSRC&MRC CDT on Mathematics for Real-world systems, successor to the EPSRC DTC on Complexity Science. The CDT will train students in the development and application of models and methods to analyse data from areas like health, industry and finance. It is supported by 12 external partners: JLR, NatGrid, Thales, BT, PHE, PHW, Sciteb, Simpact, Polymaths Consulting, University Hospitals Birmingham, Birmingham School of Cancer Sciences, Pirbright, all of whom are keen to have our students work on their data. Jointly with the Urban Sciences CDT at Warwick, we have been awarded funds for a Data Analytics Platform to assist in this. MacKay is partner in a Global Collaboration on Financial Systems Stability, coordinated by Sciteb. It has recently received funding from Barclays and Standard Chartered to plan methods to analyse stress test data for the Bank of England. MacKay is partner in an EPSRC Maths programme bid on Urban Mathematical Analytics, led by Des Higham (Strathclyde) with Peter Grindrod (Oxford), which has recently passed outline stage. In this programme we plan to develop mathematical approaches to the analysis of data from time-dependent multi-layer networks provided by cities. The programme will link with the CUSP and other smart cities initiatives and has support from BT, Capita, IBM, Microsoft, Scottish Power, Siemens, Lloyds bank, Dunnhumby, PA Consulting, Scottish & Southern Energy, Vodafone, Bloom, Cisco, and Xerox. My research is a blend of science, software and visualisation. This ‘joined-up’ ethos has emerged from the multiple methodological challenges inherent to issues concerning planetary health, such as climate change and engaging stakeholders with uncertainty. Currently, my research focuses on projects in reproducibility and usability in ‘Species Distribution Modelling’ software (ZOON) and developing visualisation techniques for analytical and communication tasks within science and statistics. 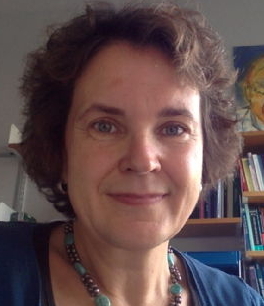 Suzy Moat is an Associate Professor of Behavioural Science at the University of Warwick. She directs the Data Science Lab at Warwick Business School together with her colleague Tobias Preis, and is also a Faculty Fellow of the Alan Turing Institute. Moat's research investigates whether data on our usage of the Internet, from sources such as Google, Twitter, Wikipedia and Flickr can help us measure and predict human behaviour in the real world. The results of her work have been featured by television, radio and press worldwide, by outlets such as CNN, BBC, The Guardian, Wall Street Journal, New Scientist and Wired. She has also acted as an advisor to government and public bodies on related topics. Moat studied Computer Science at UCL and Psychology at Edinburgh, during which time she won prizes including the UCL Faculty of Engineering Medal. Monte Carlo methodology (particularly Retrospective Monte Carlo, Sequential Monte Carlo and Markov Chain Monte Carlo with application to large data sets). Computational methods for Stochastic Differential Equations (particularly Exact Simulation methods). Computational Statistics (including inference for intractable models). Dr Tobias Preis is an Associate Professor of Behavioural Science and Finance at the University of Warwick. Together with his colleague Dr. Suzy Moat, he directs the Data Science Lab at Warwick Business School. His recent research has aimed to analyse and predict real world behaviour with the volumes of data being generated by our interactions with technology, using data from Google, Wikipedia, Flickr and other sources. His research is frequently featured in the news, by outlets including the BBC, the New York Times, the Financial Times, Science, Nature, Time Magazine, New Scientist and the Guardian. He has given a range of public talks including presentations at TEDx events in the UK and in Switzerland. More details can be found on his website http://www.tobiaspreis.com. I work in the area of social informatics, the study of factors that shape ICT adoption and use. A major part of my work in the past 10 years has focused on innovations in computational research infrastructure, tools and methods. Recently, I have been applying these innovations in the large-scale study of uses of social media. I led a multidisciplinary team to work with the Guardian/LSE on the Reading the Riots project, analysing tweets sent during the August 2011 riots. This work is continuing with JISC, ESRC and EU FP7 support. I continue to research the impact of 'big data' on strategic and operational decision-making, including the use of social media by emergency services and the emergent role of social media in civil society and the everyday life of communities. I am on the editorial board of the new journal Big Data and Society. Current focus of research in my lab is on developing algorithms for the analysis of large multi-gigapixel digital pathology images, with applications to computer-assisted grading of cancer and predictive markers for prediction of cancer progression and survival. I work very closely with the Pathology department at our local UHCW NHS Trust and collaborate with industrial partners in the emerging area of Digital Pathology. He has an interest in statistical methods used to deal with large samples as well as natural language processing. Michela works on political economy and public economics and behavioural economics often using large datasets. A recent area of research is the use of Facebook data to explore how users form their political preferences. Gareth Roberts is Director of the EPSRC-funded Centre for Research in Statistical Methodology. 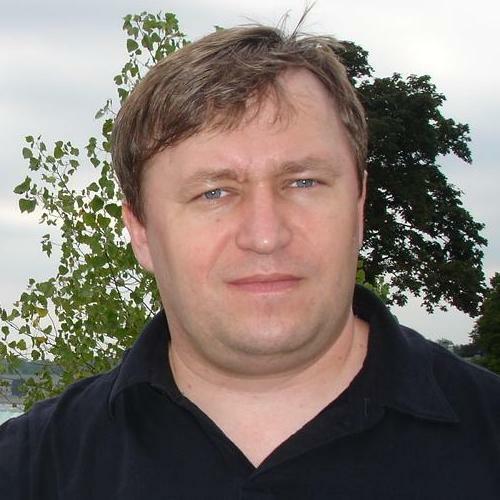 He is also Principal Investigator of the i-like project which has a strong focus on scalable computational methods for likelihood-based statistical interest, and an investigator on the EQUIP project on Bayesian computationally intensive methods for statistical inverse problems. He was elected Fellow of the Royal Society in 2013. Statistical inference for Infectious diseases. I am a visiting academic funded by the Royal Academy of Engineering. My background is in industry and I have worked in information assurance and cyber-security for 20 years at IBM. I have lead security architecture and consulting projects in the private and public sectors and have many contacts in the security industry. My main research interest is statistical machine learning and its application to important problems in medicine, in particular medical informatics and translational medical research. This principally involves the use of probabilistic methods for extracting scientific knowledge from large, potentially complex data-sets. Distribution theory, focusing on modelling with non-normal distributions, incorporating data aspects such as skewness, fat tails, etc. Bayesian nonparametrics, specifically introducing meaningful dependence mechanisms that allow for the introduction of covariates. model uncertainty, in particular regarding the choice of covariates using Bayesian model averaging, with applications in economics (relatively large model spaces of the order of 2^100 models) and genetics (very large model spaces of the order of 2^10000 models). computational tools such as adaptive MCMC methods, specifically in the context of Bayesian model averaging. spatiotemporal modelling using non-Gaussian processes that vary continuously in space and time with nonseparable covariance functions. survival modelling, focusing on heterogeneity and including applications to university dropout and graduation. My research is concerned with optimal control problems in the context of demand management, such as dynamic pricing, as well as demand modelling. In particular, I am interested in choice modelling and the resulting challenge of solving choice-based optimisation problems, such as assortment optimisation. My work is often motivated by industry applications; I particularly enjoy linking demand management to other disciplines, such as vehicle routing or air traffic control. I am working on several projects involving industry partners on such topics. I am Course Director for WBS' MSc Business Analytics (globally ranked 7th by QS University Rankings 2018). I am a Bayesian statistician with experience of developing and applying methods to a wide range of real world problems, including those in ecology and atmospheric and computational chemistry. My work as a Research Fellow at Warwick is on statistical analysis of biological signalling systems. My research in the area of string algorithms is concerned with efficient methods of string comparison and approximate string matching, their connections with computational geometry and algebra, and their applications in computational molecular biology (such as the one described here and here). My research in the area of parallel computation is concerned with the design and analysis of efficient algorithms and programming techniques for parallel computers. Sebastian Vollmer works on methodology and theory for computational statistics and machine learning. One focus is on Markov chain Monte Carlo algorithms for large scale Bayesian inference. The fine structure of the T-cell receptor repertoire and its development over time. Present research is aimed at elucidating the relationships between immune response efficacy and the statistical distributions of T cell specificities among the naive repertoire and among T cell populations which respond to given antigenic challenges. then please visit the WDSI Intranet pages for more information.